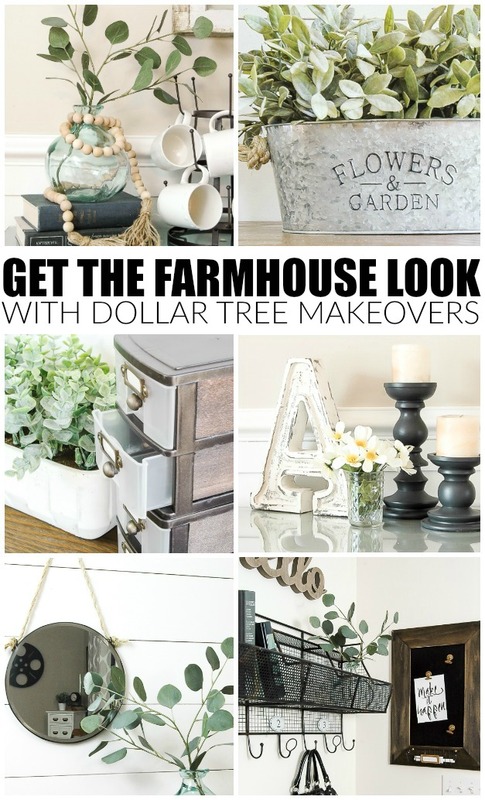 Turn basic Dollar Tree bins into the perfect industrial storage! 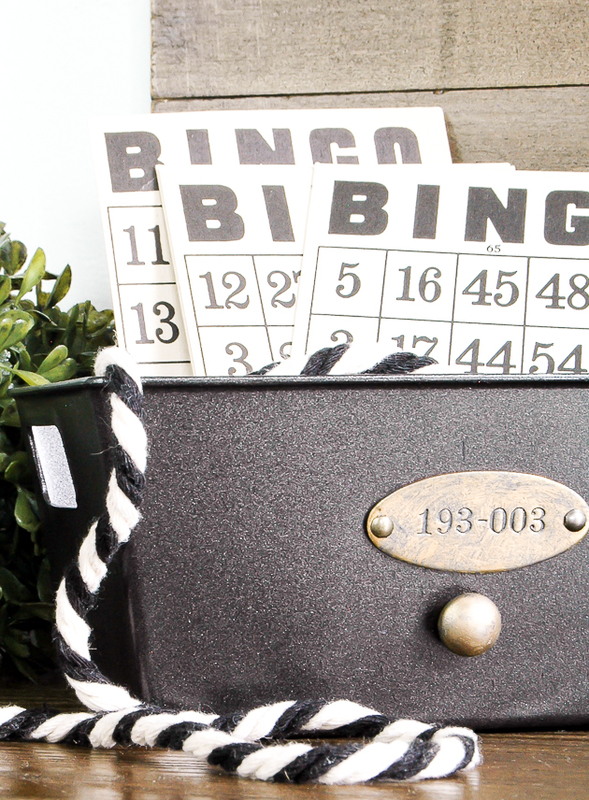 It's the first Monday of the month, which means it's time for another Dollar Store DIY! 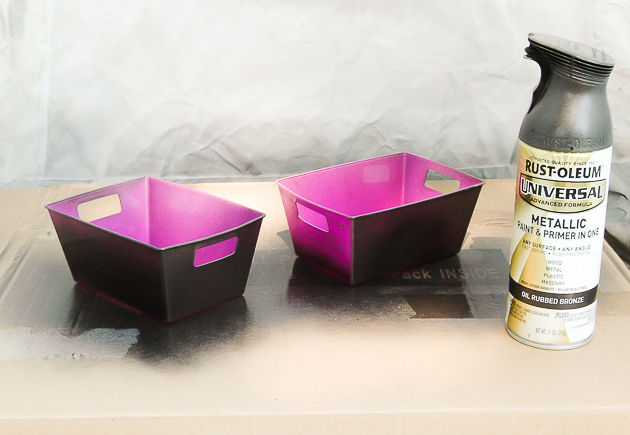 This month is all about storage and how I gave little purple bins an industrial makeover. 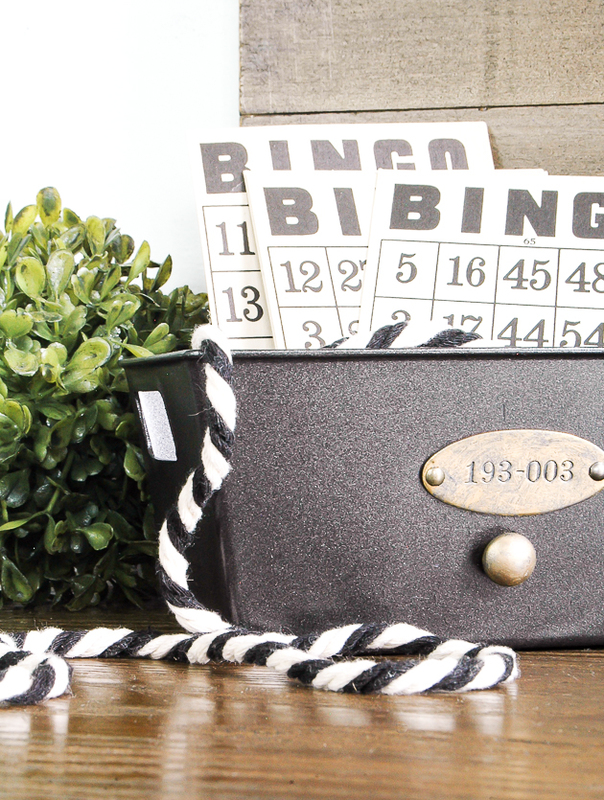 I've updated these little plastic Dollar Tree plastic bins in the past, but I couldn't resist updating more in a slightly different way. 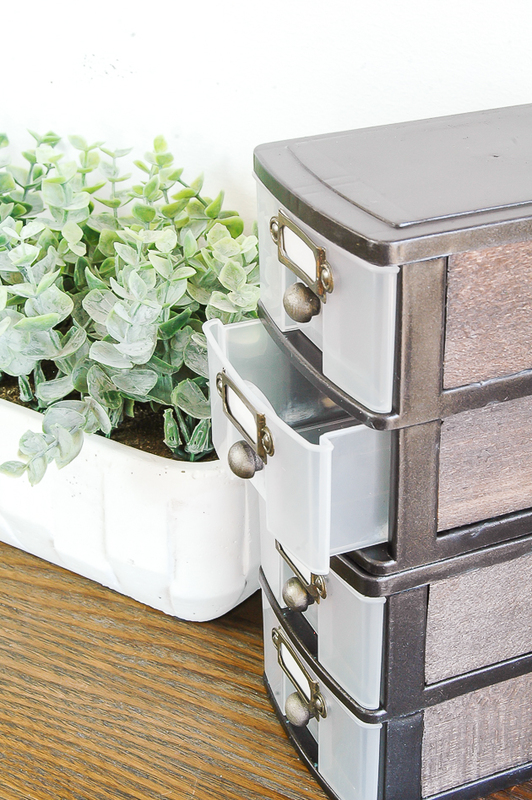 You just can't beat four little storage containers for $1! 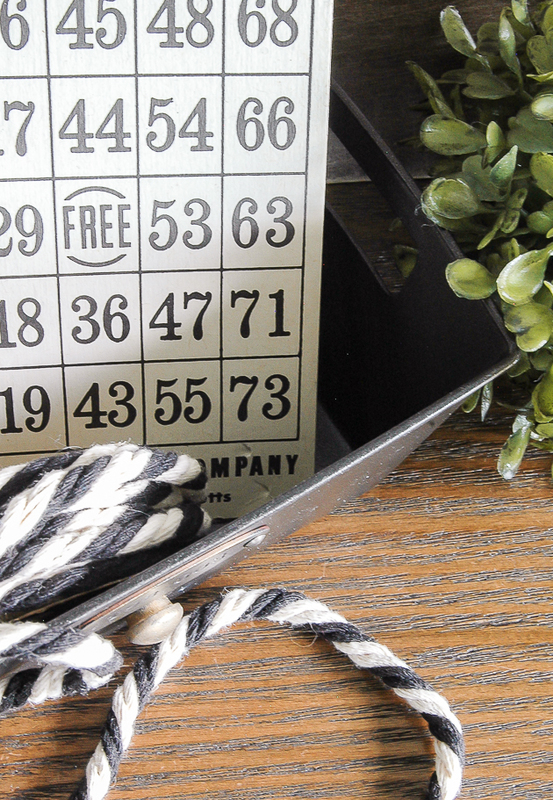 They're perfect for craft supply storage or I use them in my medicine cabinet to keep medicines neat and organized. 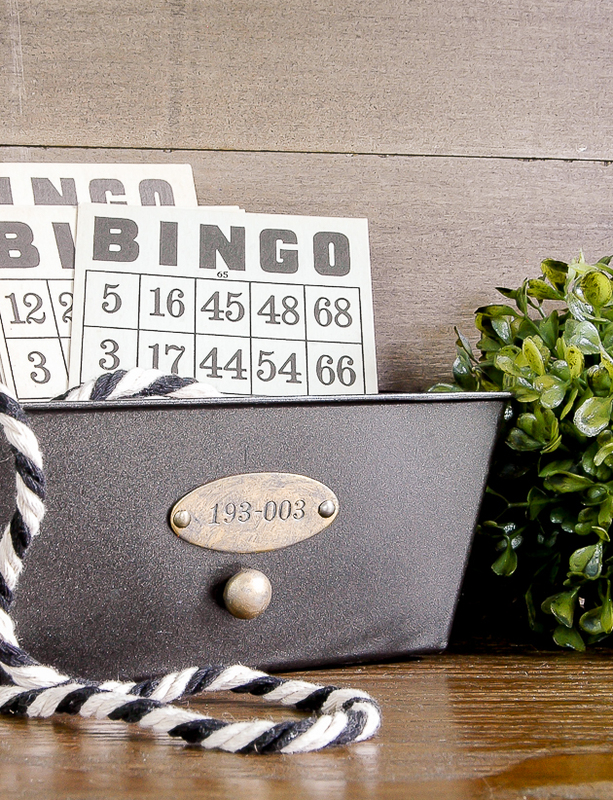 ***UPDATE*** I've had a lot of people ask me where I purchased the vintage bingo cards from. 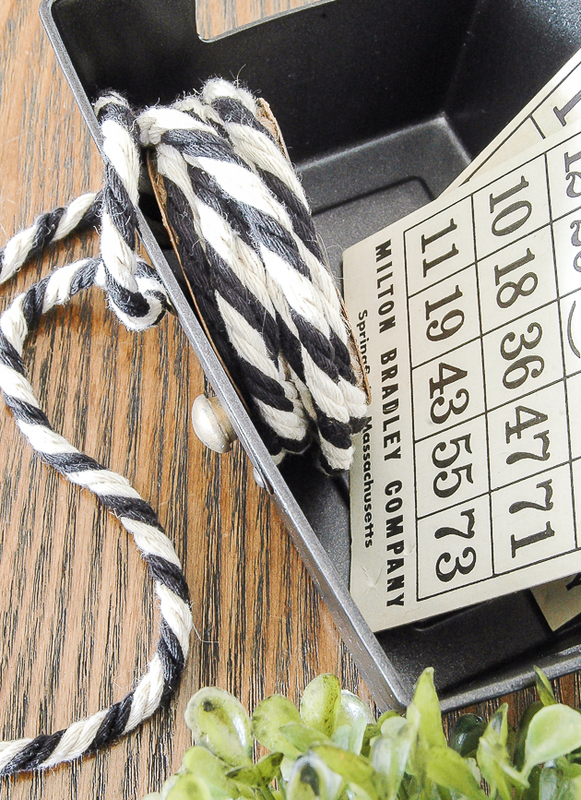 I bought mine at a local vintage market, but you can also find some here. 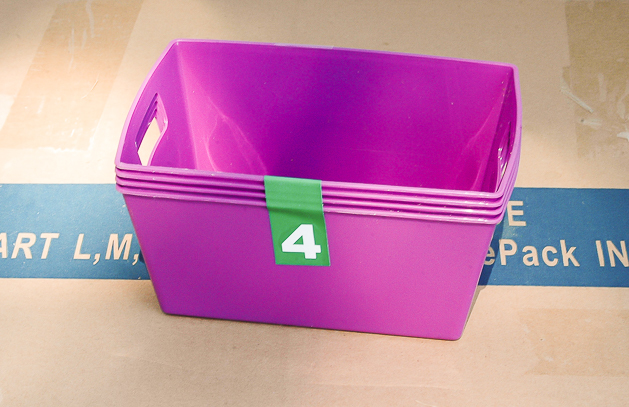 I started with these 4 little purple plastic bins that I picked up on a recent Dollar Tree trip. To prepare them for paint I gave them a very light sanding with fine grit sandpaper. Make sure you don't go crazy with the sanding or you'll end up with scratches that will be noticeable after painting. 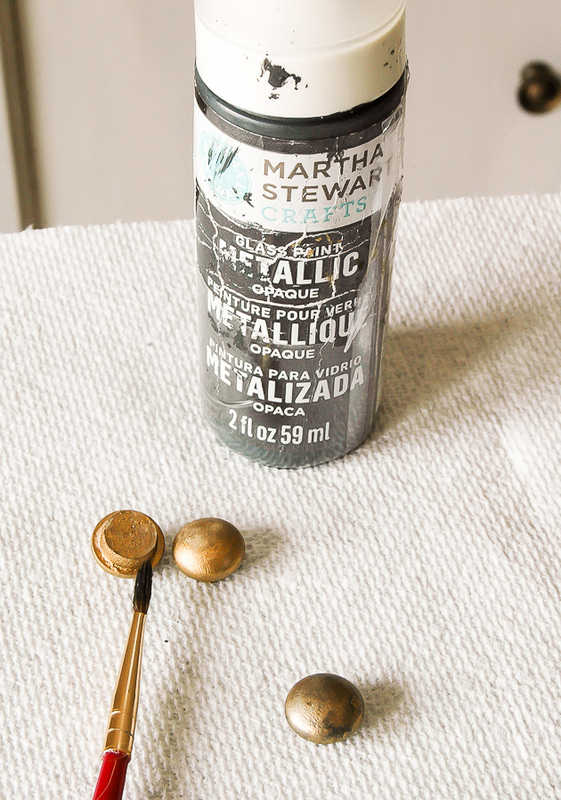 I've tried several different spray paints over the years, but this Rust-oleum ORB spray paint is definetely my favorite. It gives great coverage and I rarely have issues with peeling. 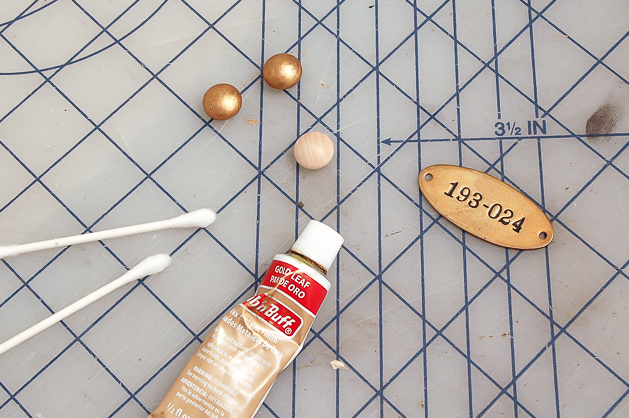 While my paint was drying (make sure you let it fully cure) I covered 4 wood buttons with gold leaf rub 'n buff. 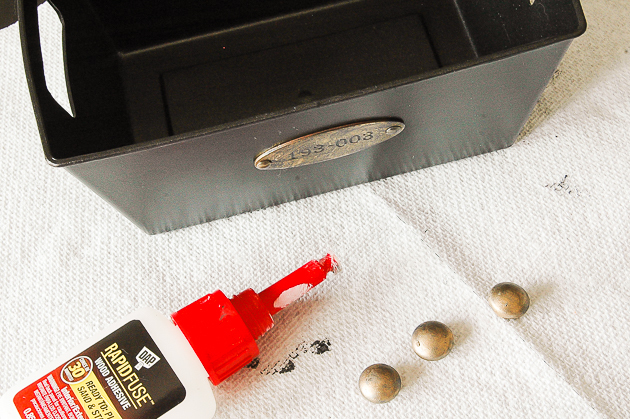 After I added the rub 'n buff I dry brushed each one with metallic gray paint to give them a more aged look. 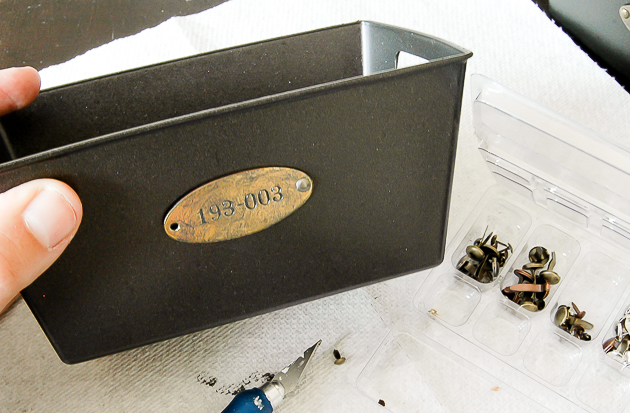 I poked holes in the bins using the tip of an X-Acto knife then attached the metal locker labels using decorative brads. The wood buttons were then attached using wood glue, simply because I ran out of all purpose glue. 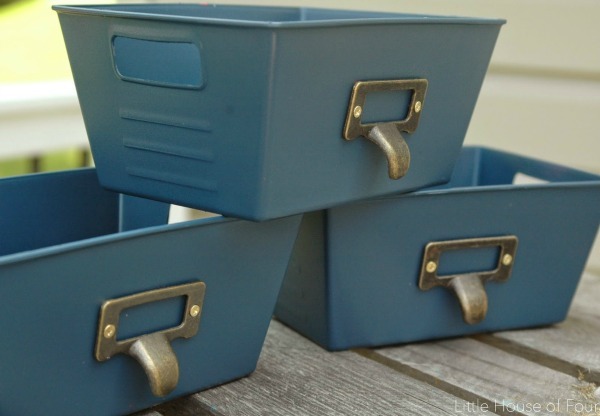 I now had four cute little industrial farmhouse storage bins perfect for organizing! 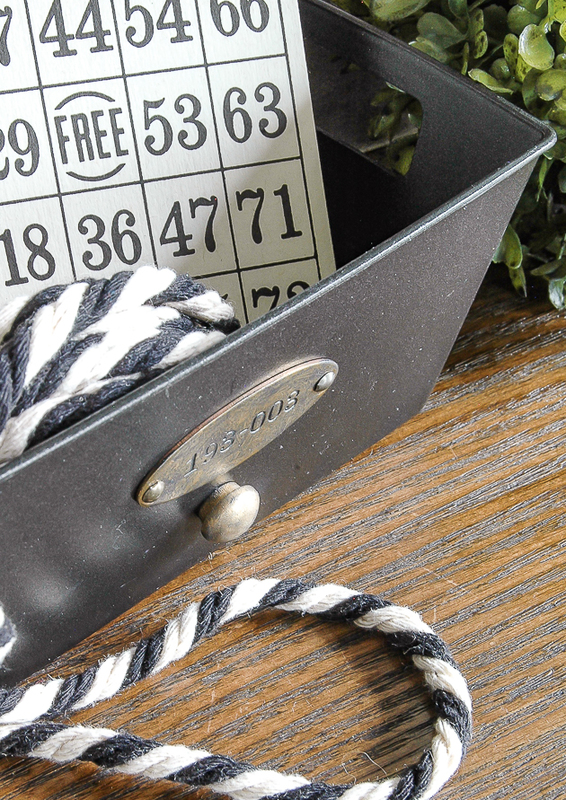 How would you use these little industrial storage bins? You truly are the queen of all things dollar store! SO creative! LOVE your ideas! Thank you for sharing! Wow!! So cute, what a transformation!! Love! Thanks for the tutorial!